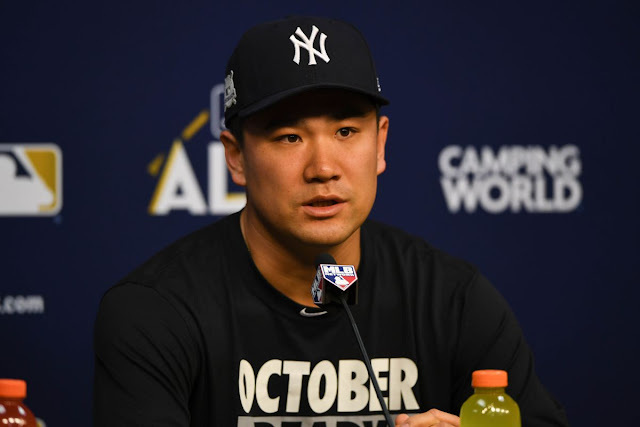 Yankees fans across the country breathed a big sigh of relief at the news that Masahiro Tanaka has declined to opt out of his contract and will remain with the New York Yankees for the next three years at $67 million. There were so many differing opinions but I tended to side with those that felt Masa would not have been able to find a substantially better deal on the free agent market. I know there's the continued risk of Tommy John surgery but all things considered, I am glad to see #19 back in the fold. I remain in favor of the Yankees re-signing CC Sabathia...if the price is right. But there's no doubt you have to love a starting rotation that features Luis Severino, Tanaka, Sonny Gray and Jordan Montgomery. With or without Sabathia, there's no doubt we'll see Chance Adams at some point in the season. Good times for Yankees fans! The Yankees made it official and announced that Kevin Reese has been promoted to Senior Director of Player Development, replacing the departed Gary Denbo who joined Derek Jeter in Miami. The Yankees will now need to find a new Director of Professional Scouting but there's no doubt they'll fill the post from within. Best of luck to Kevin in his new Tampa-based role! The latest "frontrunner" for Yankees manager appears to be Brad Ausmus. At the end of the day, who really knows. I think some of the knocks against Ausmus are the same as those against Joe Girardi. He has tendency to over rely upon his veterans and has a stoic personality. Ausmus has a stern but player-friendly reputation. 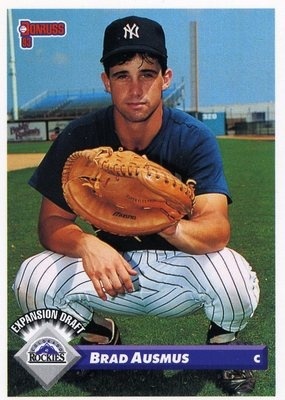 While he never played in Pinstripes, he was the Yankees 48th round selection in the 1987 MLB Draft. He was lost in the Expansion Draft when the Colorado Rockies joined MLB and ultimately made his major league debut with the San Diego Padres although he is better remembered as a Houston Astro. I personally would not have an issue with Ausmus and probably would prefer to see someone with managerial experience get the vital role for the contending Yankees. He might not be my favorite but I'd support the choice if he is deemed to be the one. Have a great weekend! Go Yankees! This was a no brainer becaise no team is going to give him a big payday with his elbow being a time bomb. As.fat as Asmus goes I could live with that , I would love to see some better base coaches and bench coach. Thompson was moved from 3rd base coach because he had the worst record for runners being oit at home on his sends. Espada was not much better , snap judgements come with knowing who is in the OF or who the ball was hit to in the infield. I am open to Willie Randolph as bench coach and Roy White at 3rd base . Hitting coaches I am ok with and never have been a Rothschild fan, maybe we can hire Pedro Martinez.